R.B. Glazing are the local specialists in windows, installing double glazing and providing window repairs throughout Wakefield and the surrounding areas. As a small local business, we pride ourselves on providing a service with a personal touch and our owner, Robert, will personally oversee all projects, ensuring that you have one reliable point of contact throughout. Or friendly team are all fully trained in all aspects of fitting and repairing windows, having been carrying out work throughout the area for over 25 years. 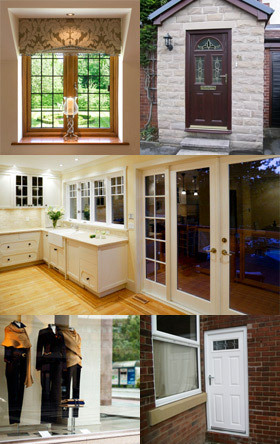 We work with both domestic and commercial customers throughout Wakefield, providing a full range of services. Whether you are replacing your windows due to damage or simply to upgrade, we’re sure that you will enjoy the benefits our double glazing can bring. We offer a range of double glazing options, allowing you to improve the insulation and energy efficiency in your home or business. Alongside installations, we also provide window repairs. Double glazing does not always require replacing when it becomes damaged; if your windows have been scratched or cracked, contact the team at R.B. Glazing. We will assess the damage and provide you with the most economical solution to get them in pristine condition once again. If you would like further information on any of our services, please get in touch by calling 01924 250 687 or by completing our online contact form.